Baseball fans, join me for a trip in the Wayback Machine to April 16, 1988. I’m 15 years old, and making my first trip to brand-new Pilot Field in downtown Buffalo to see our local nine, the Buffalo Bisons – American Association AAA affiliate of the Pittsburgh Pirates. The Herd is facing the Denver Zephyrs in their third game at the new yard. My first reaction after entering the gates at Washington and Swan is astonishment at the difference between this sleek new park and the Bisons’ previous home, the cavernous, creaky, Depression-era War Memorial Stadium. Pilot Field, in contrast, was major league quality in every respect, and is the first ballpark designed with a retro aesthetic (Oriole Park at Camden Yards, the first MLB stadium to feature this style, opened in 1992). Get some peanuts to pair with the brewski, and it’s time for the National Anthem (we sing both the American and Canadian versions here – Buffalo is a border town). After a couple of innings of non-stop baseball talk and enjoying the early spring sunshine, it’s time for more food. Luckily, Sahlen Field has terrific ballpark fare. If you don’t have an appetite for their new All You Can Eat Pack, you have your pick of a la carte specialties. My go-to choice is always a fried bologna sandwich – a really thick slice of every kid’s favorite lunch meat, topped with grilled peppers, onions and melted cheese, wrapped in a soft bun. But there are a lot of other choices as well, from standards like burgers, hot dogs and nachos to local favorites like Charlie the Butcher’s beef on weck, Ru’s Pierogi, The Original Pizza Logs and Nick Charlap’s ice cream. Now suitably sated, we’ll watch the rest of the game, jaw some more about the upcoming season and hopefully see the Herd victorious. One of my favorite parts of any Bison game is the race around the bases. 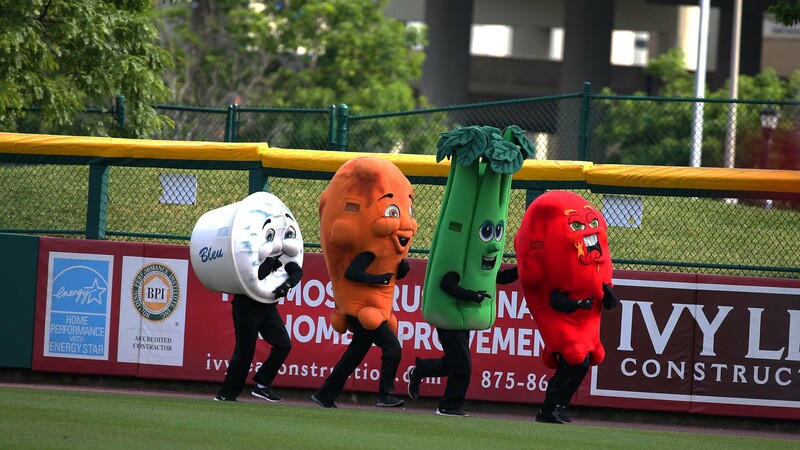 A lot of ballparks have something like this – local food or characters transformed into mascots who race around the field between innings. It’s sausages in Milwaukee, pierogi in Pittsburgh and presidents in D.C. 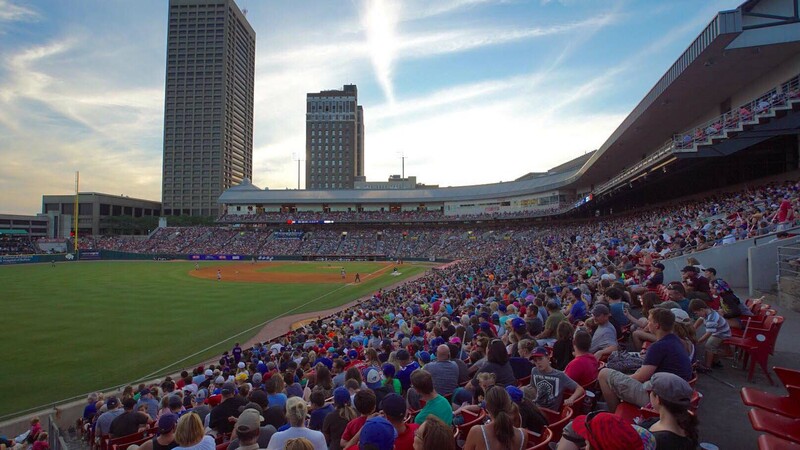 In Buffalo, it’s Wing, Atomic Wing, Blue Cheese, and Beef on Weck – the replacement for retired fan favorite, Celery. 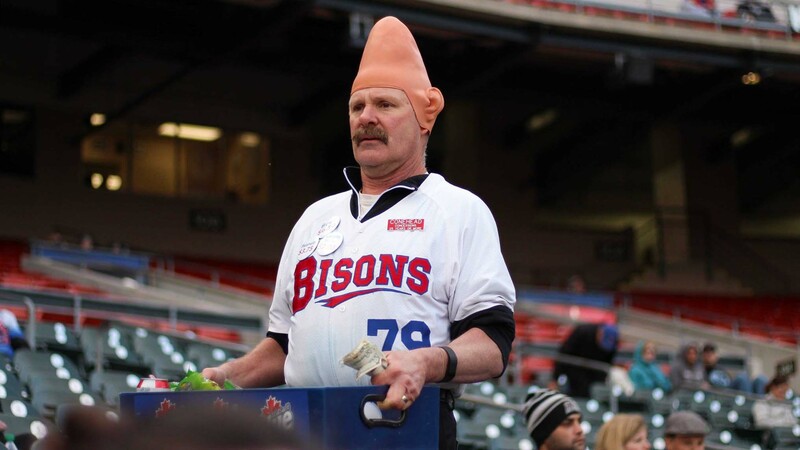 Photo courtesy of Buffalo Bisons – Celery now retired! The first game of the baseball season has always been special to me, as it symbolizes the end of winter and the onset of another spring and summer filled with outdoor adventures. My first glimpse of the carefully manicured infield dirt, crisp, unsullied white baselines and neatly mowed outfield grass fills me with happiness as I wonder what the new season has in store for my favorite team. Hope really does spring eternal. 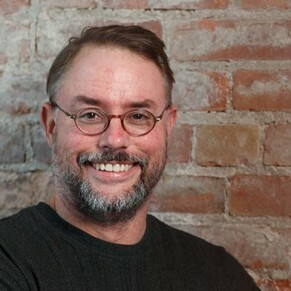 Designer, mapmaker, biker, baseball junkie, bon vivant and Visit Buffalo Niagara's creative director, I love eating and exploring in the Nickel City and am always on the lookout for my next great meal and adventure.